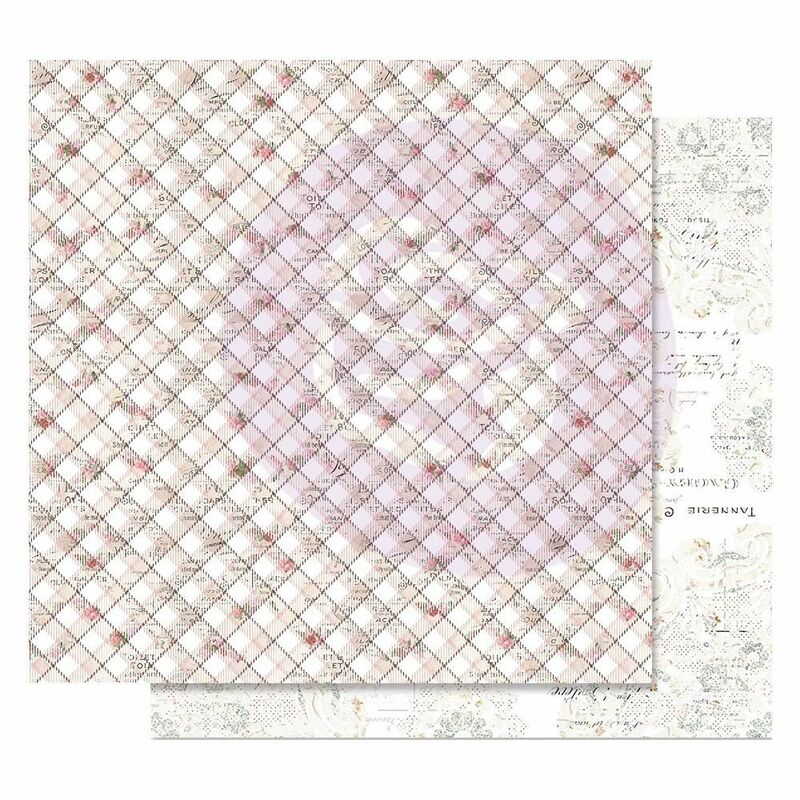 This 12x12 double sided paper has a Gingham Pattern that is splashed with florals and the lines are Foiled. The reverse side has a large distressed pattern. Part of the Lavender Frost Collection by Prima Marketing Inc. Look for other coordinating Designer Papers & Embellishments.